You probably didn’t get to see “There Be Dragons” during its short theatrical release in spring 2011. Now it’s about to be released on DVD $22.98 (Amazon $15.99), and it might be worth taking a look. From a Catholic standpoint, it tells the story of St. Josemaria Escriva (1902-75) the sometimes controversial founder of the personal prelature Opus Dei (Work of God) who was canonized in 2002. To be more exact, it focuses mostly on three years of his life, during the Spanish Civil War from 1936-1939. Joffe’s plot, while true to the facts of Escriva’s life, relies in a large part on fictional characters to tell the story, especially Manolo Torres (Wes Bentley) and his son, Robert Torres (Dougray Scott) who is a Spanish investigative reporter assigned to write a posthumous biography of Escriva, who is considered a candidate for canonization. St. Josemaria himself is played by Charles Cox. There is also a charming cameo appearance by Geraldine Chaplin, daughter of Charlie Chaplin and Oona O‘Neill. In the course of his investigation Robert discovers his father with whom he is estranged, was a childhood friend of St. Josemaria, and it is his memories that flesh out the story. The plot moves back and forth between St. Josemaria and Manolo. By the time the civil war breaks out between the communist-leaning and anti-clerical Loyalists and the fascist-leaning Nationalists, St. Josemaria has already established Opus Dei. It is a community for lay men and women, both married and single as well as clergy, who are dedicated to achieving personal sanctity through work. 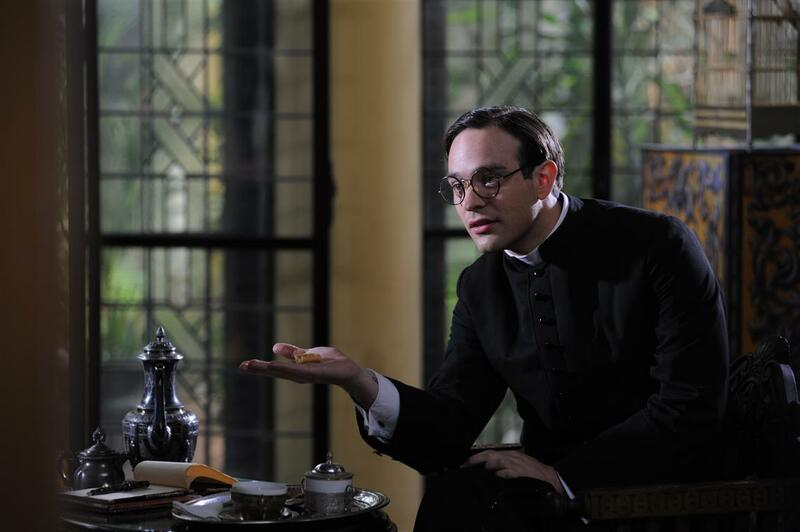 Despite increasing atrocities, including the murder of priests, in the film Josemaria refuses to condemn the Loyalists, because he understands their anger at a system where most of the wealth is controlled by a fortunate few. It is only at the insistence of his small band of worried followers that he eventually flees with them to Andorra. Manolo, on the other hand, is an unabashed member of the ruling class, who early in the war establishes himself as a mole within the Loyalist forces betraying them to the enemy. Because he is presented as truly saintly, St. Josemaria is less dramatic. It might have been better to let the complexity of the man peek through. Meanwhile, Manolo is highly conflicted, beset by his internal dragons, and as such steals the show. Also, Joffe is a master at presenting the horrors of war. But the ultimate message is one of peace and of forgiveness though love, which is what St. Josemaria is saying all along.